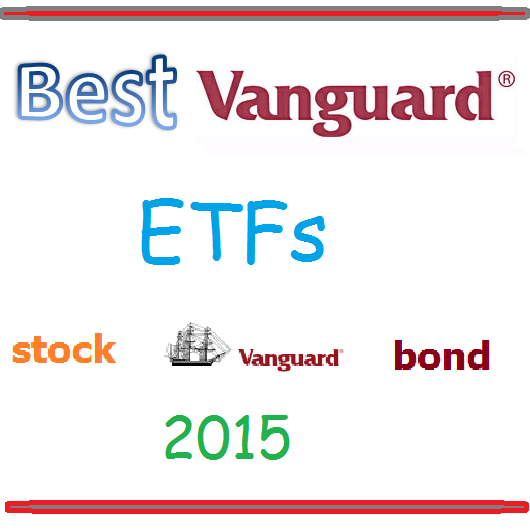 Vanguard Intermediate-Term Bond ETF is one of the best Vanguard ETFs. It has $17 billion of assets. This exchange traded fund is tracking the performance of the Barclays U.S. 5-10 Year Government/Credit Float Adjusted Index. It has a low expense fee of 0.10%. Morningstar has ranked this Vanguard ETF with 4 star rating. In 2014, it has a total return of 7.27%. This ETF has returned 3.77% over the past 3 year, and 6.12% over the past 5 year. Ranked with 4 star rating, this Vanguard S&P 500 ETF is investing in stocks of companies listed in the S&P 500 index. It has large total assets of $27 billion. The current share price is $187.23. The expense fee is only 0.05%. This top Vanguard ETF has a 3 year average return of 19.35%. Top 3 stocks in its holdings are Apple Inc, Microsoft Corp, and Exxon Mobil Corporation.